Click on the cover to the left for the full newsletter. 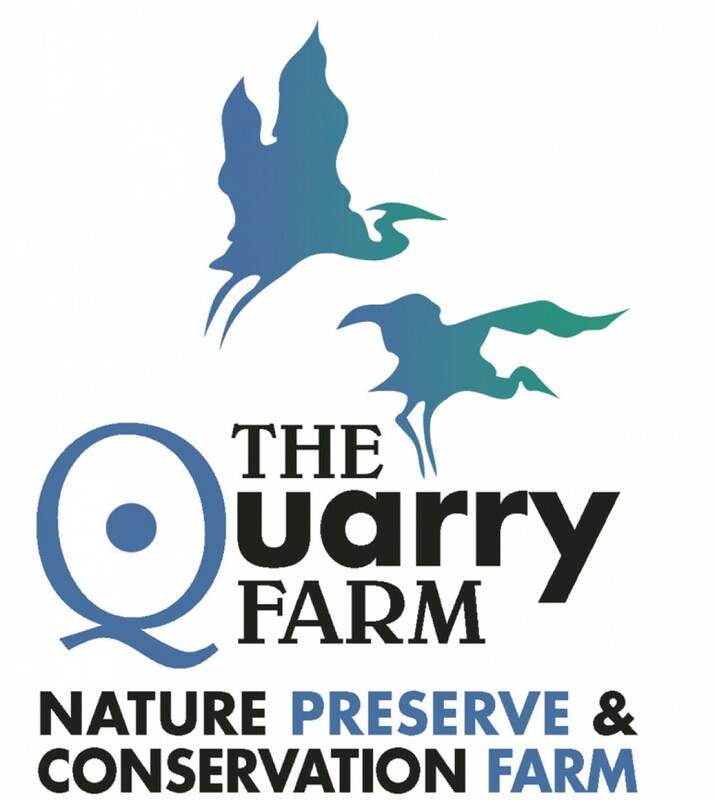 And stay tuned to this site as well as “The Quarry Farm” on Facebook for more summer happenings. If the weather permits, there may be a star walk on the calendar. Watercolor is too real painting. As a painter who prefers this two-dimensional medium to most others, I have been in the position to argue this point. My argument accuses oil snobs of decorating their walls with off-the-rack roadside numbers that match a couch. Boyfriends are broken-up with because of statements like this. But that was providence, it turns out, and a long time ago. And painting in oils is fine, if that’s what you like. But don’t tell me that a water-based work, one which requires the painter to give a measure of control over to their chosen medium, allowing light and whims of water, air and pigment to have their way, isn’t real painting. 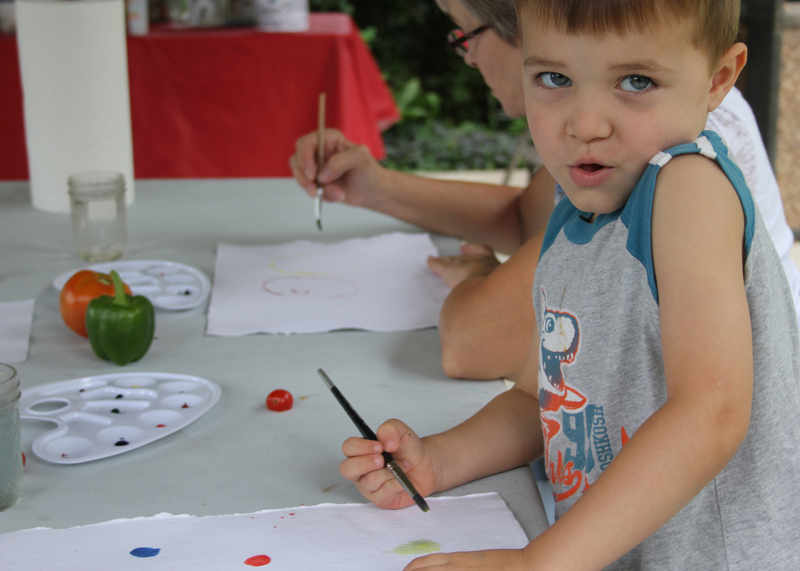 So, with 94 percent humidity and a forecast of sun, the second “Watercolor for Beginners” workshop took place today under the earth-red roof of the Seitz Family Pavilion. Heavy fog kept a few distant registrants away, but hot black coffee, herbed shortbread and apple oatmeal cookies revived those that took up a brush. I love it when watercolor novices tell me, “I have no artistic talent.” These are the ones that are the first to let go; to pool water on their paper and break the surface tension of that pool with a loaded brush. It’s the ones that have painted before, using slow-to-dry, opaque, malleable mediums, that are reluctant let go of control. 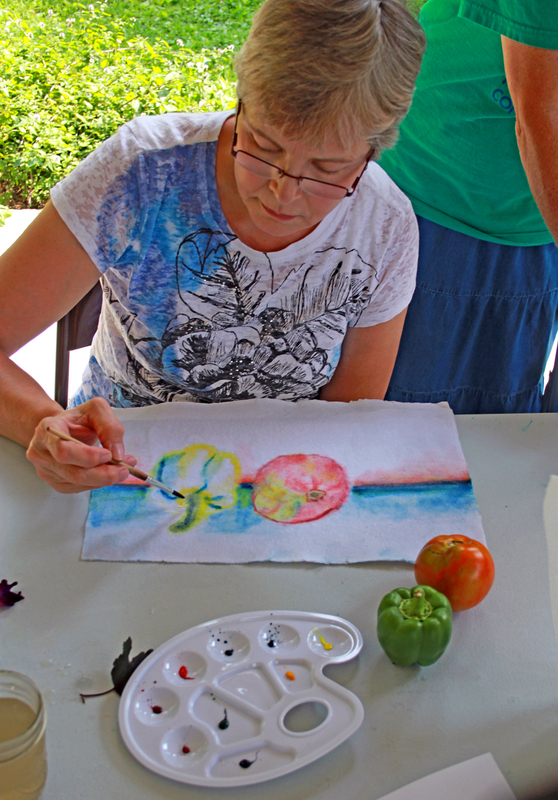 Because, in my opinion, that’s what you have to do with watercolor. You have to let go and see what water, paint, paper texture and weight and gravity can create when kind of, sort of left to their own devices. Once you have witnessed that, you can begin to take the reins and shape your work. The seven people who floated through this morning’s fog, included some of the above. 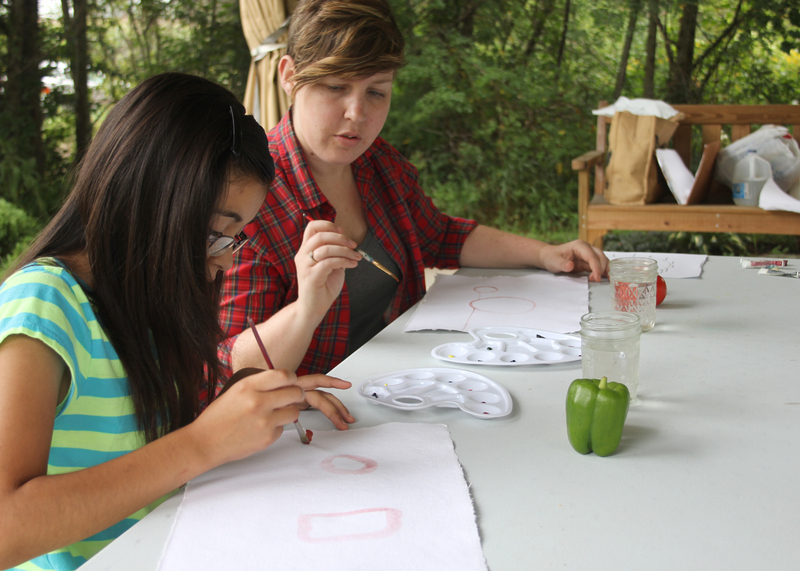 They chose their subjects from the Red Fox Cabin gardens, vegetables, flowers and leaves. You can see in the photos the tentative steps, the light lines of paint on cold press paper (I wouldn’t let them sketch their subjects with pencil first). Two hours later, we had a marvelous body of work, each of them showing promise and more than one worthy of exhibition at any art festival. Of course that, along with my thoughts on how to begin painting with watercolors, is my opinion. I could be wrong. But I don’t think so. The 2013 summer edition of The Quarry Farm Newsletter is done. Click on the cover to the left and see for yourself what’s coming up. There are three events planned, so get registered while the getting’s good. Not all require preregistration, but still. Take a look.